Dexter Daily: Michael C. Hall on Dexter Season 9: "It's a Conversation That Continues At Its Own Pace"
Michael C. Hall on Dexter Season 9: "It's a Conversation That Continues At Its Own Pace"
Michael C. Hall who's currently co-starring on Netflix's 'The Crown' sat down with Entertainment Weekly to talk about his role as the 35th President of the United States JFK, and answers the question he is sick of hearing for the last 5 years: about a reboot or ninth season for Dexter. ENTERTAINMENT WEEKLY: What was your first thought when offered this role? MICHAEL C. HALL: I knew the show was very well regarded but I had yet to see it. It was somewhat daunting, obviously, to breathe life into somebody so iconic and who had life breathed into him by so many other people. But that was also exciting. And when I looked at the script I thought the presentation [of Kennedy] was pretty broad spectrum. It’s basically a sketch — I’m there momentarily here and there — but it took some risks in terms of how and what it was depicting. And I was excited in this day and age to give a speech that a lot of people in the states would crave to hear from a leader. 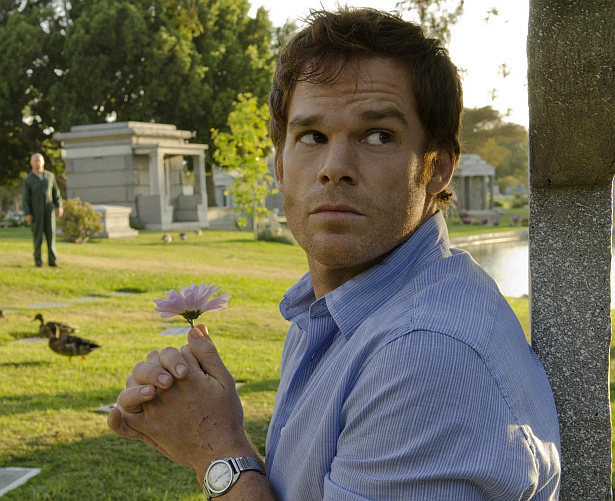 You get out of any interview without being asked this question: Any thoughts on a Dexter reboot? Any moment on that front? I don’t think it’s quite time. But it’s a conversation that continues at its own pace. Head to EW to read the full interview.